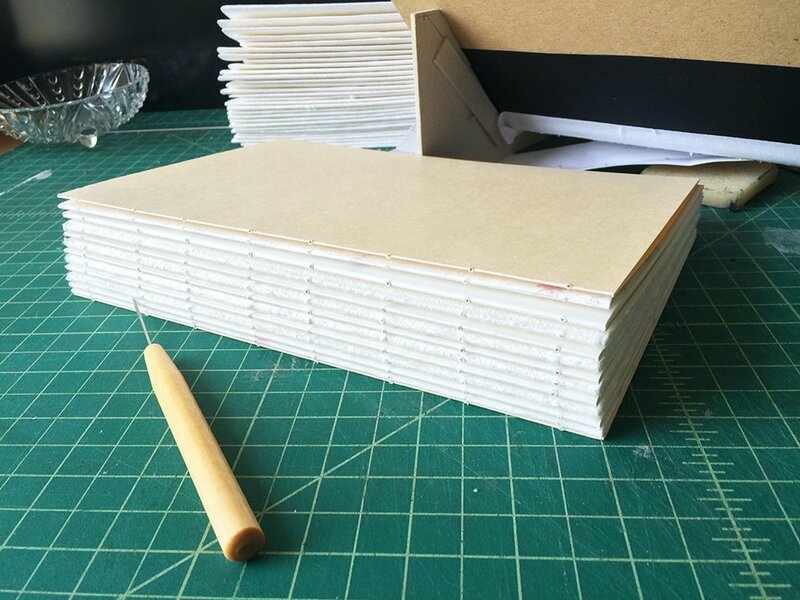 Chances are you already create in another medium, so in the early stages of making books, allow the supplies and tools you have on hand to do double duty. I bet if you raid your closet you’ll find items such a self healing cutting mat, an Xacto or utility knife, a sharp pencil, a steel ruler, sharp scissors, a triangle or quilting ruler etc. Although book board isn’t super expensive, it’s heavy and shipping costs can add up. So, make friends with your local picture framer or an artist who cuts her own mats and ask for the mat board off cuts to use as book covers. Skip the expensive bookbinders’ glue brushes and purchase several sizes of $1 chip brushes from your local hardware store. Or check out the kids’ section of your craft store and buy those chunky primary colored paint brushes – their sturdy bristles are great for spreading glue. 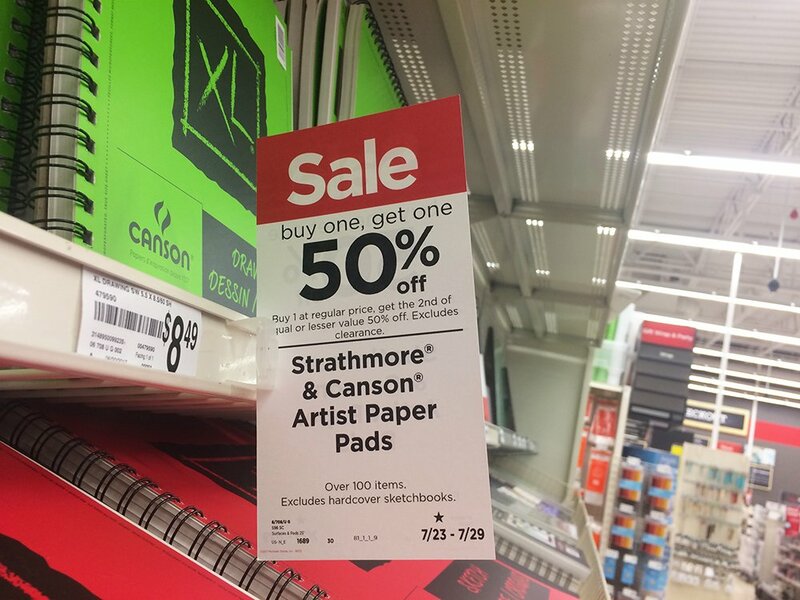 Use the weekly 40% off coupon offered by the big box craft stores to buy pads of Strathmore and Canson sketch, drawing and watercolor paper for your book pages. They also have regular sales on paper, so keep your eyes open. Raid yours or a friend’s quilting fabric stash to make your own book cloth. Here’s a great tutorial on Youtube by Sea Lemon. Attach thick cardboard (the kind you find on the back of paper pads) onto two pieces of wood larger than your average sized book. 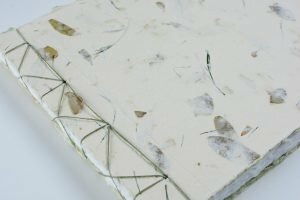 Then wrap several house bricks with paper or fabric, place your wet book project between the boards and weigh down with the bricks. Waxed linen thread is expensive (approx. $17 a spool) but it’s the best choice for making books, so in the beginning of your bookmaking adventures, buy just one spool in a neutral color, such as white, cream, beige or black. Alternatively, there are several Etsy sellers who offer smaller quantities of linen thread so you can have a variety of colors for your projects. Stock up on mechanical pencils, white erasers, metal rulers and triangles during back to school sales. Instead of purchasing a wooden punching cradle, make your own by following my tutorial or open up a large catalogue or phone book. 1. A Bone Folder for creasing signatures, scoring lines and smoothing out glued surfaces. 2. A Bookbinders Awl for piercing holes in paper signatures and book board before sewing. When buying an awl, choose one with a straight metal shaft to create uniform sized holes. If you buy one with a tapered shaft, the size of your sewing holes will be uneven. Please join the conversation below and leave your ideas in the comments below. Great tips, thanks. I wrapped bricks with cloth and use them as weights. I go to my local library’s annual book sale and buy up the large format children’s books on the last day of the sale – the books sometimes are free, or for a small flat fee I can buy a bag/box full. I peel the cover off to get at the book boards. The large format can give me 2 covers if I cut it in half or even more for smaller projects. As much as I hate to tear up a book, the library will take the unsold books to the dump the next day for disposal! Thank you. Very useful tips! It was interesting to read about the awl. Indeed, it is important to find a non-conical sharp awl. Great tips. I’m just starting my journey into the world of book binding and it can be a little confusing with all the new terms. You explain things perfectly and provide great tips. Thank you. I work at our local library, and have access to withdrawn books. I have taken a crash course in book repair, but creating my own is something I would like to spend more time doing. I’m an author, so combining my written words with book creation could result in some interesting projects. 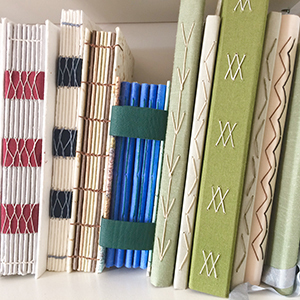 I am a textile artist and was looking for an easy way to create books for holding my samples of Felting, shibori and silk painted samples for my workshops. Thank you for sharing your book making talents. I can’t wait to try! You’re very welcome Vicky. 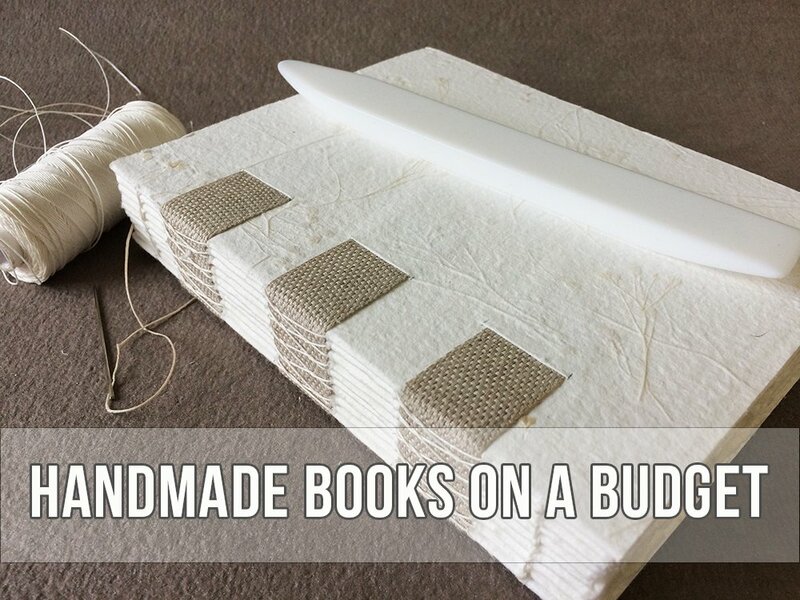 I would love to see the books that you make! Actually, waxed linen thread is not always the best choice. Here in TX, we have found untaxed is better. Waxed linen can leave greasy spots in your books, from heat. So we only use unwaxed linen thread. Even mailing a book somewhere cooler can cause melting, in a hot mailbox or mail truck. Thanks for the tip Carlos.